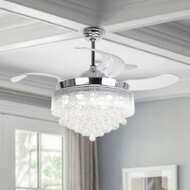 Now it is time to switch off the air-conditioning and switch onto this Retractable Blade Ceiling Fan. It will save up to 90% on your cooling costs. 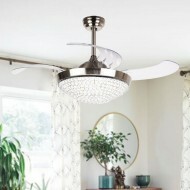 Turn this fan on and its barely visible acrylic blades unfold and spin, whisper quiet - making it perfect for any type of room (especially bedrooms). 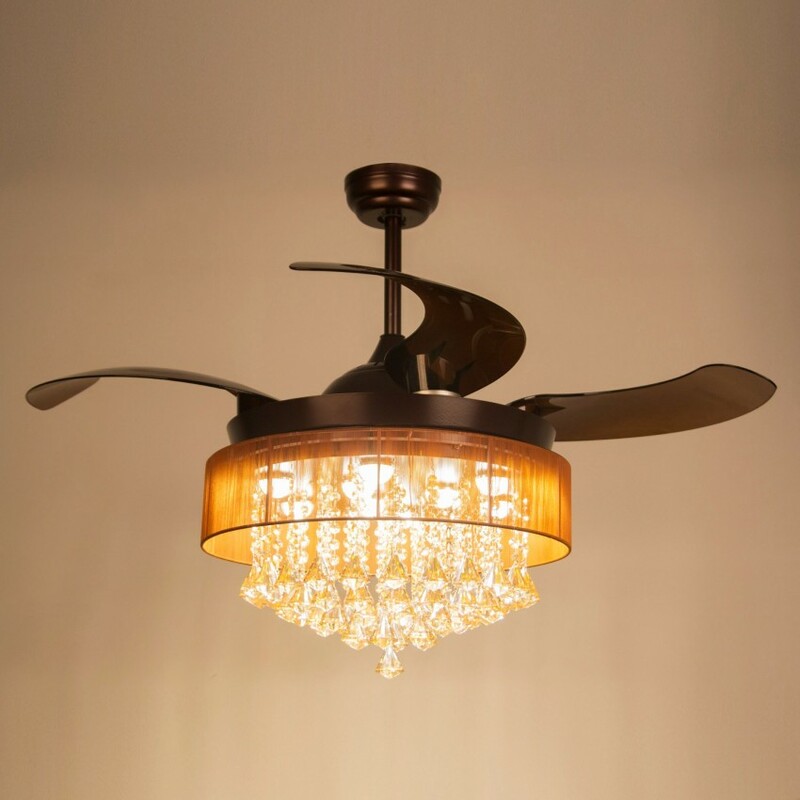 When the fan is switched off, the blades retract, leaving it to function as an energy efficient pendant light. 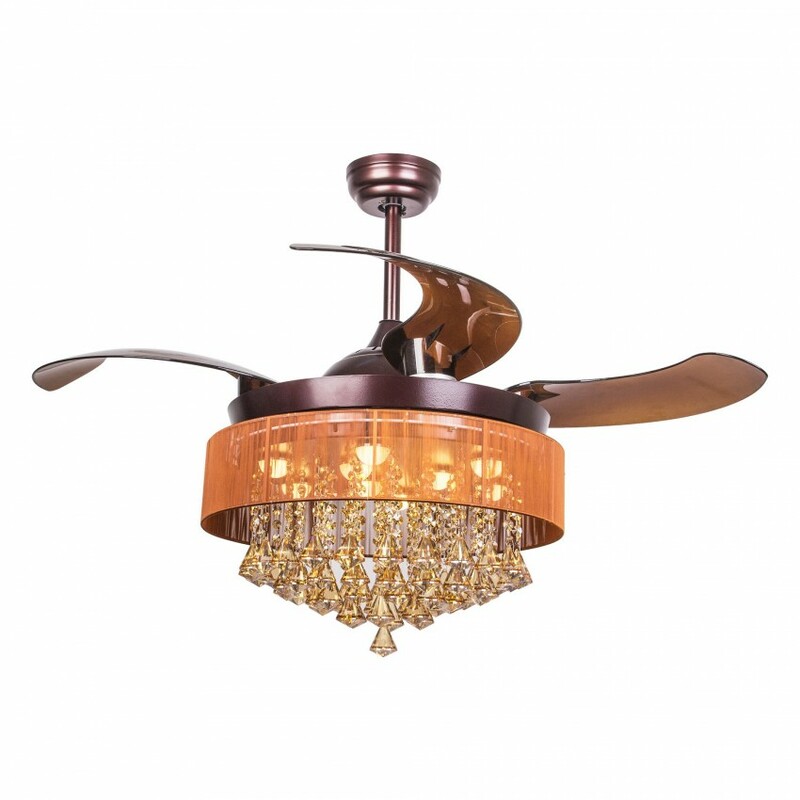 A clean simple design to complement any interior, It comes in oil-rubbed bronze, with LED options available. 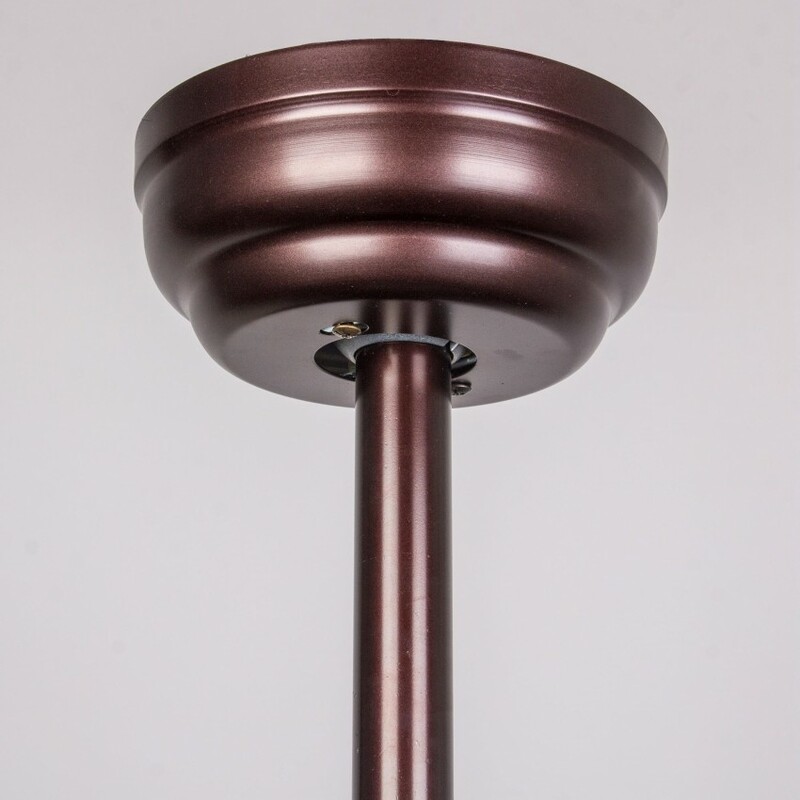 3000K Warmmer-Colored lights, and ceiling downrod is adjustable in 4.0" and 9.8". Installation Video Available Online providing easy set up and detailed steps. 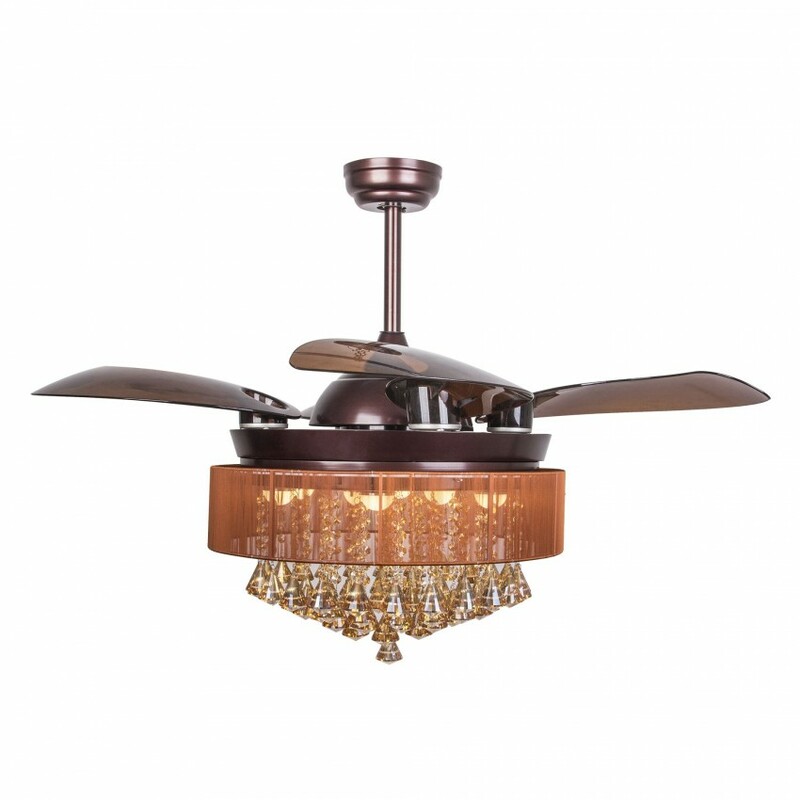 Fandelier- It is a combination of a crystal LED chandelier and a ceiling fan. 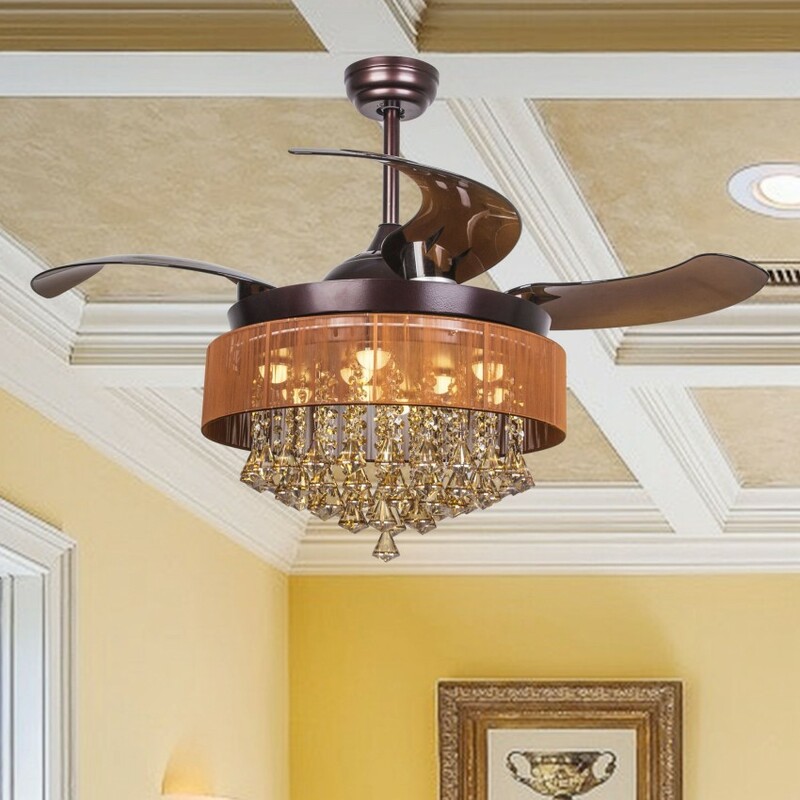 When switched off, the intrusive fan blades automatically retract and conceal, and visually the unit transforms into a slim, modern chandelier. LED Light Kit included- UL listed, 32W LED bulbs included, replacement available from us if you have any problem with it. 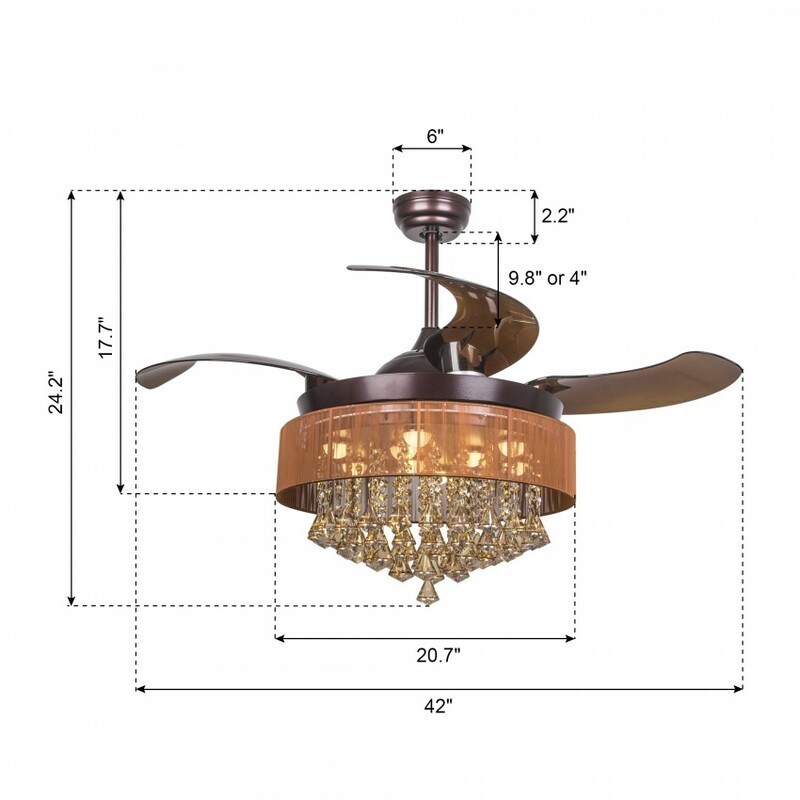 Overall size: D42 1/2"x H15 1/2"
Whose Lamp is a registered brand for lighting fixtures since 2013, well known as the wooden chandeliers and crystal chandelier ceiling fans, especially outstanding in the field of LED Foldable Blades Ceiling Fans. Advanced with unique aesthetics and energy efficient design. 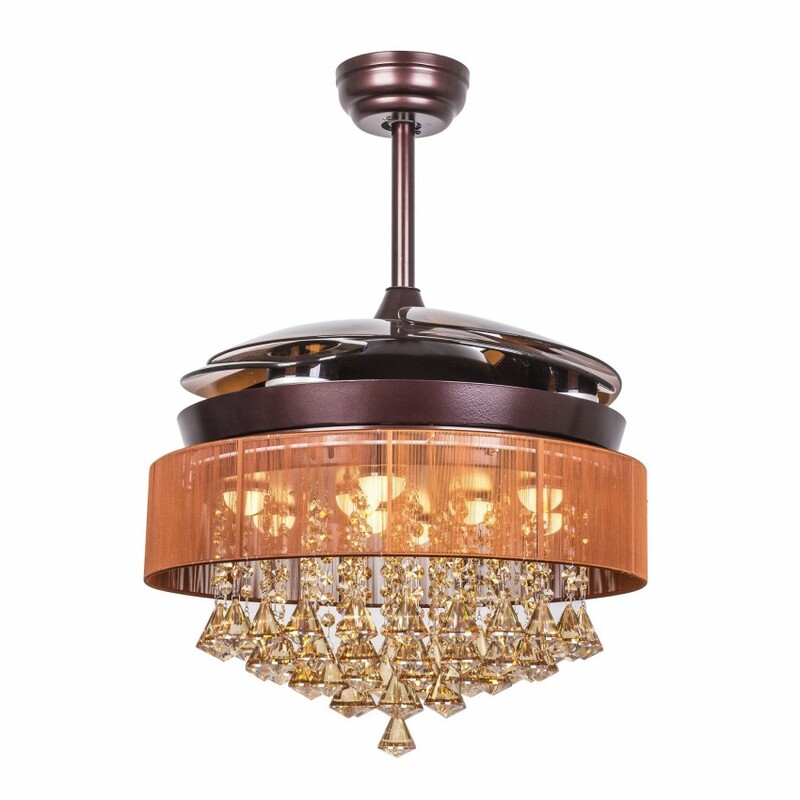 Every product we sales owns our Own Design, Quality Control and Quality Assurance. 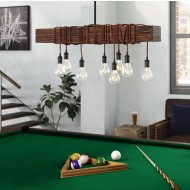 Feel easy purchasing from Whose Lamp, we will offer you the best quality products at the reasonable price and friendly customer service. Q How much are replacement bulbs? Where can I buy them? 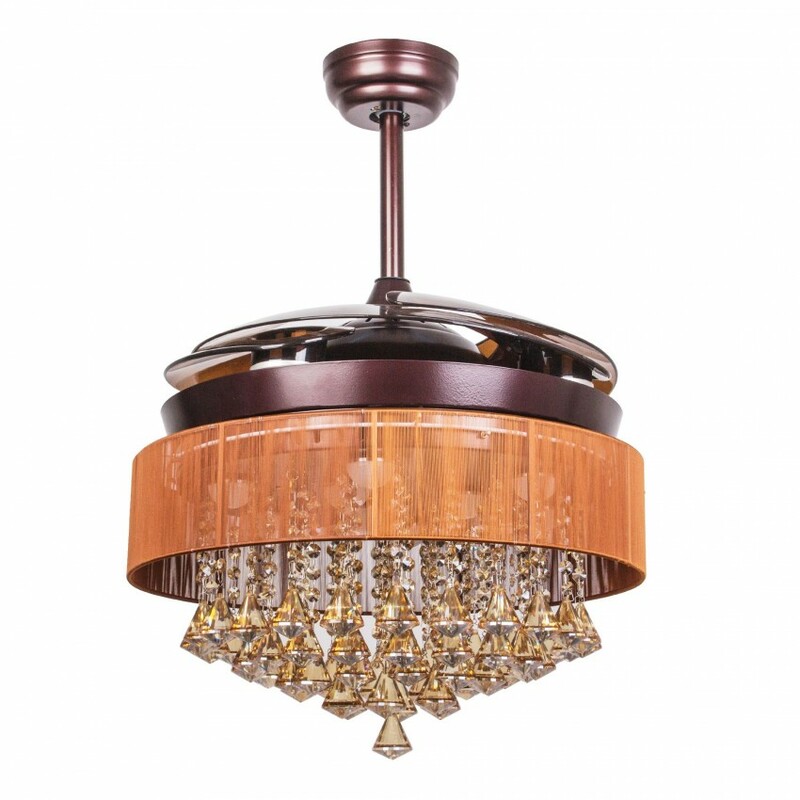 We will offer free replacement if there is any problem with our product. Q What is total height with down rod? Package come with Two Rods, 4"&10"
Q Can I get replacement crystals for this fan? 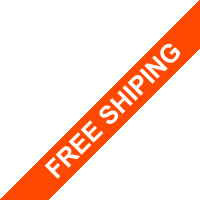 A Hi there, please contact our customer service for the further process, thanks! 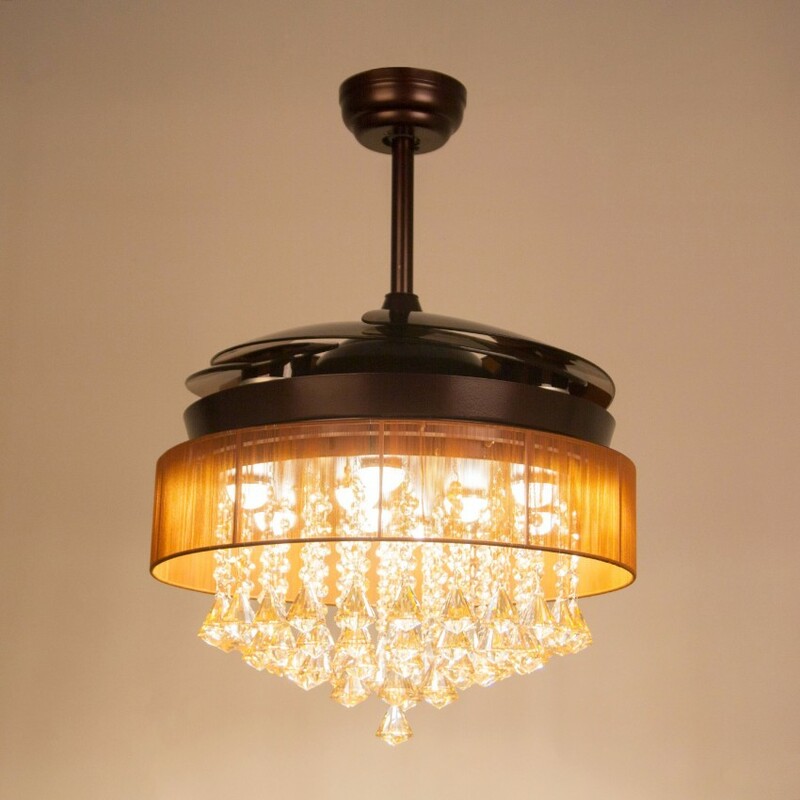 Q Do you offer sloped ceiling adapters? A Hello, thank you for reach us, we are sincerely sorry that we do not offer the sloped ceiling adapters, please kindly forgive, thanks! The fan is very beautiful. The crystals sparkle and just bring so much bling to my room. Can’t wait to use the fan. I have tried it out and it seems like it will definitely cool down my room. I had an electrician install, but I put the crystals on and it took a minute......Worth the time. Beautiful fan Review by Kristie V.
Beautiful fan and crystals, took awhile to put it together and had trouble with the remote but the seller responded quickly and helped resolve the issue. Would recommend to others. 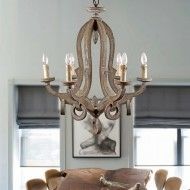 Beautiful chandelier with surprisingly speed fan! This is a conversation starter at my place. We like our new fan very much. It's aesthetically appealing, fan works awesomely. There was a problem with the light. It was flickering and looked totally wrong. When our electrician re-assembled the fixture, checking all the connections and wires, light started working right but it can't be managed by remote control any more. Looks like controller is defective. 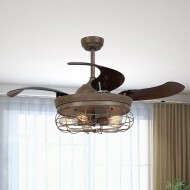 Our electrician will try to replace it but so far we need to turn lights on/off by switch and control the fan remotely. Even with this defect, it's still better than many products on the market.